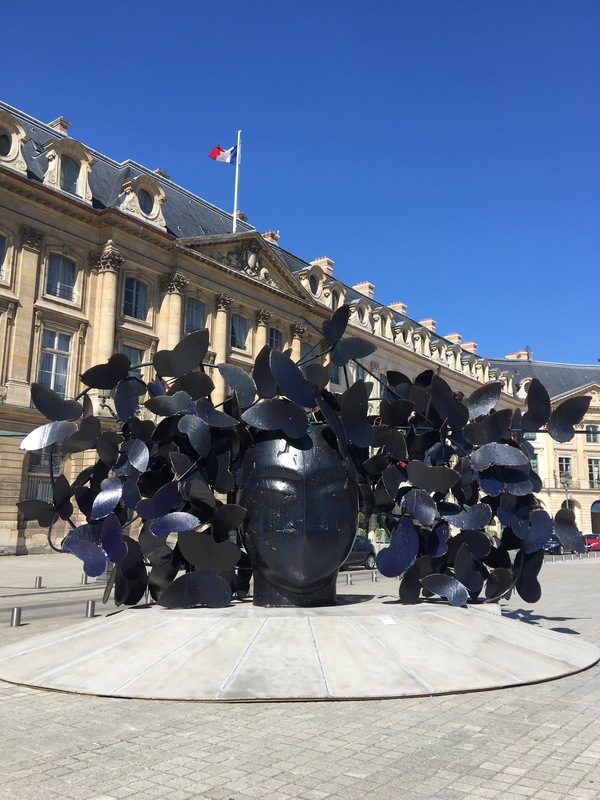 You never know what you’ll stumble upon while strolling through the majestic streets of Paris, so it was a delight to turn a corner and run across these huge, magnificent sculptures by Spanish artist Manolo Valdés. 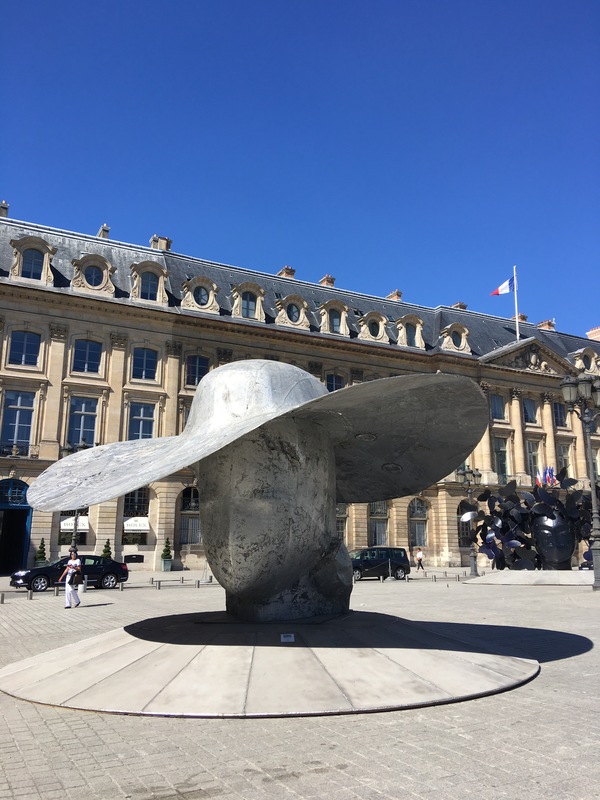 It was a very hot day in Paris approaching 90 degrees Fahrenheit and I was tempted to take shade under the large aluminum hat. The recently re-opened Ritz Paris sits in the background. 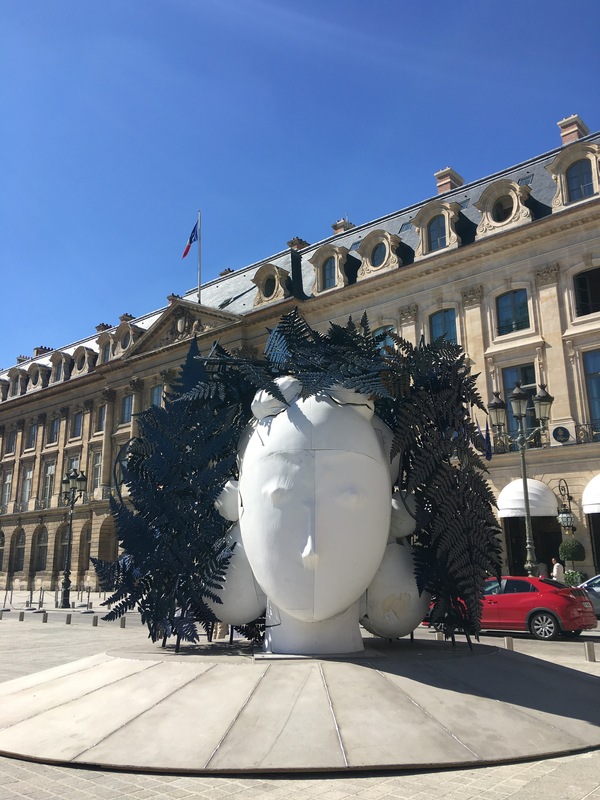 And just to note, even when there’s no artwork in this historic square in the 1st arrondisement, the Place Vendôme is awe-inspiring so these stunning works by Valdés were an added bonus. This public exhibition of Manolo Valdés’ sculptures lasts from September 8 through October 10, 2016.